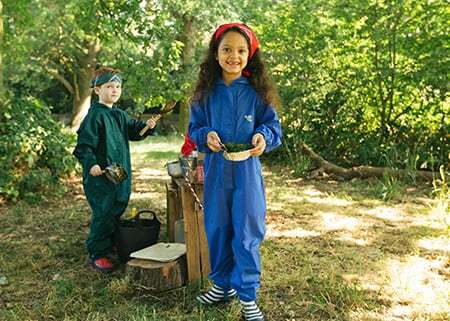 Our children's waterproofs are designed for Outdoor Learning for Early Years, Key Stage 1 and 2. 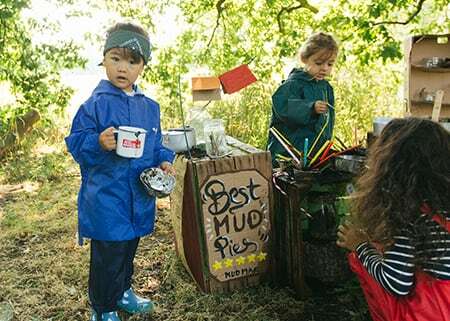 As a school it's easy to place an order! 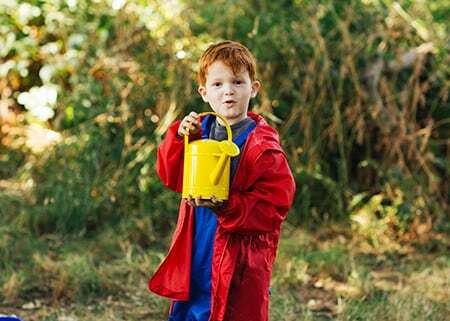 Just email us your school name, address and order and we'll work out the discounts, apply these to your order and send you an invoice. 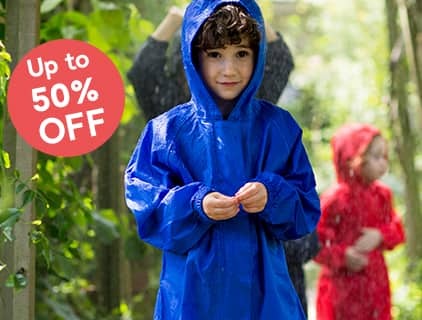 We offer up to 20% off, plus annual membership to our Muddy Academy. 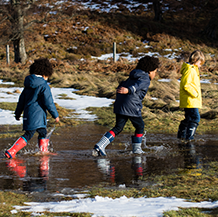 Our high quality kids jackets, trousers, all-in-ones and wellies are fully waterproof and perfect for the Forest School and everyday outings. 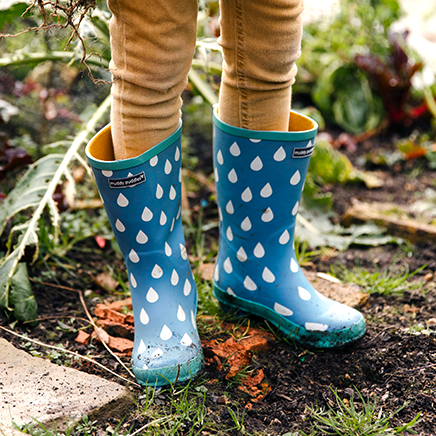 They’re all cleverly designed to help pupils brave the changeable British weather all year round. 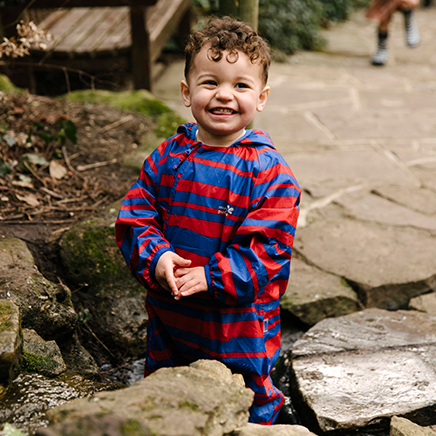 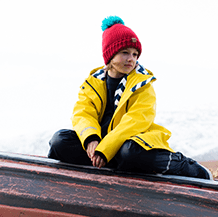 Our children's waterproof jackets and trousers are cleverly designed to fit comfortably over the top of clothes. 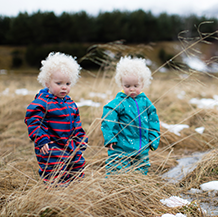 Our jackets are extra long at the back to keep bottoms dry. 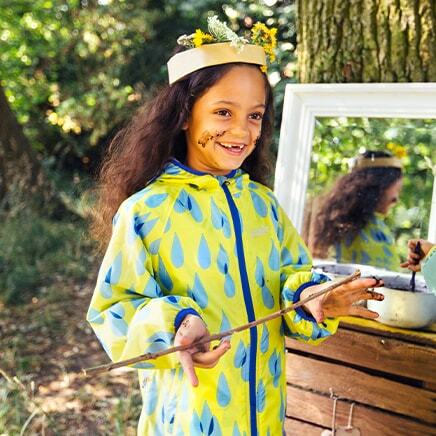 They have practical elasticated hoods and storm flaps to keep out the rain. 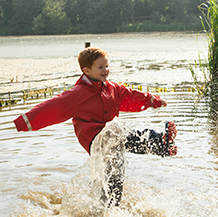 Our comfortable and rain-proof trousers and all-in-ones are easy to pull on and off and have handy adjustable underfoot stirrups to prevent trousers riding up. 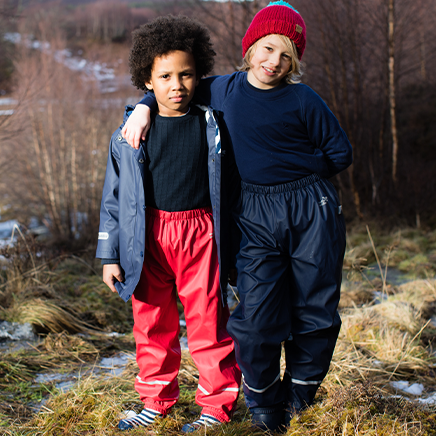 To keep outdoorsy adventurers even warmer, have a look at our kids thermals, perfect for colder days.